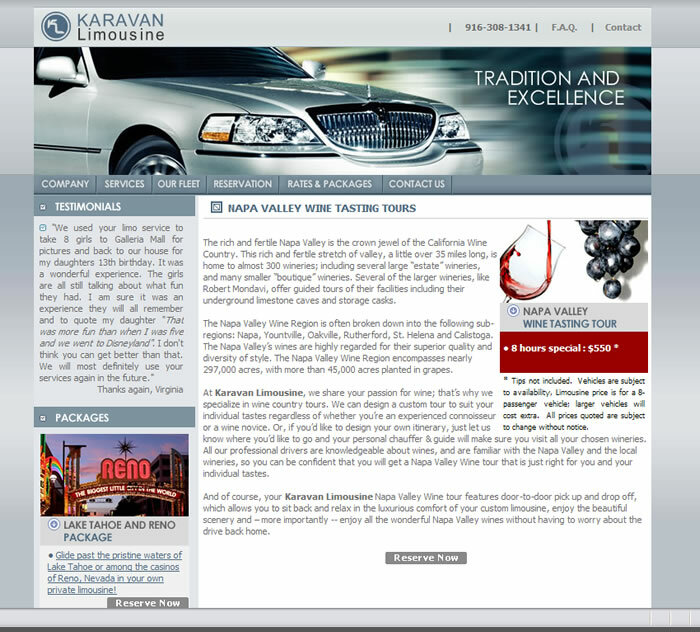 Karavan Limousine offers luxury transportation whenever and wherever you want to go in beautifully appointed Lincoln Town Car Sedans, Mercedes ML SUV, 2006 Lincoln Town Car stretch and ultra stretch limousines. 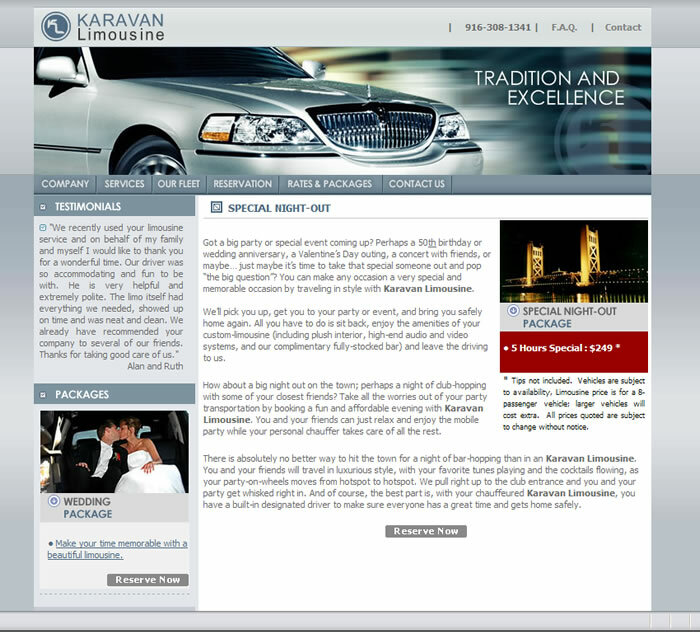 Their cars are chauffeured by professional, courteous, friendly and safe drivers who have extensive knowledge of Sacramento and Bay area. 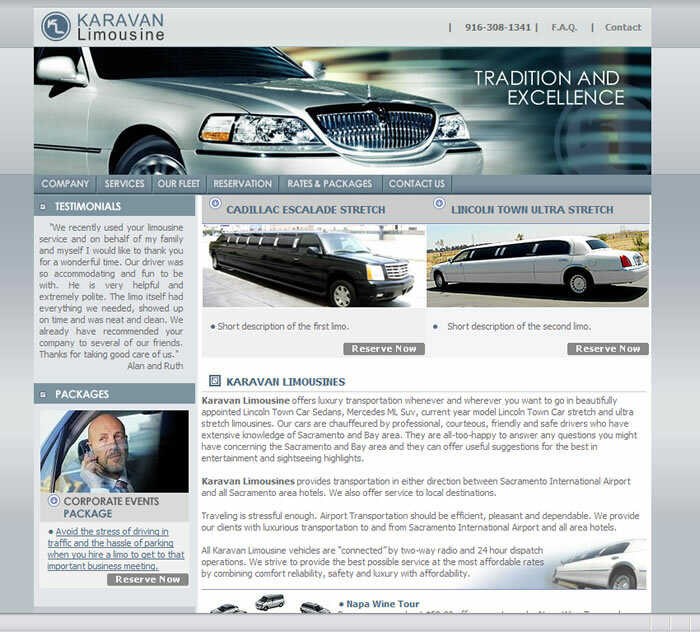 Task: Create a web site for local limousine services business. Macromedia Flash, Macromedia Fireworks, Action Script, PHP, DHTML, CSS. Do you have a limousine services business? 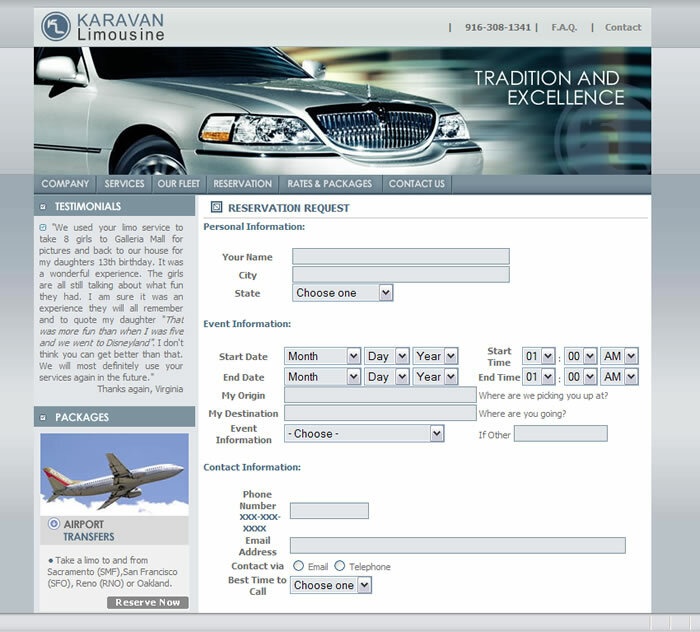 Artisan Productions can help you start, grow or expand your limousine services business! We create custom websites from scratch, to provide you with an unique website tailored to your needs generating organic local traffic. We know how to build attractive and easy-to-use photo galleries, slide shows, and Flash animations to show off your luxury vehicles and limo services. SOLUTION: The client was introduced to a new concept and a business strategy upon completion of thorough research. 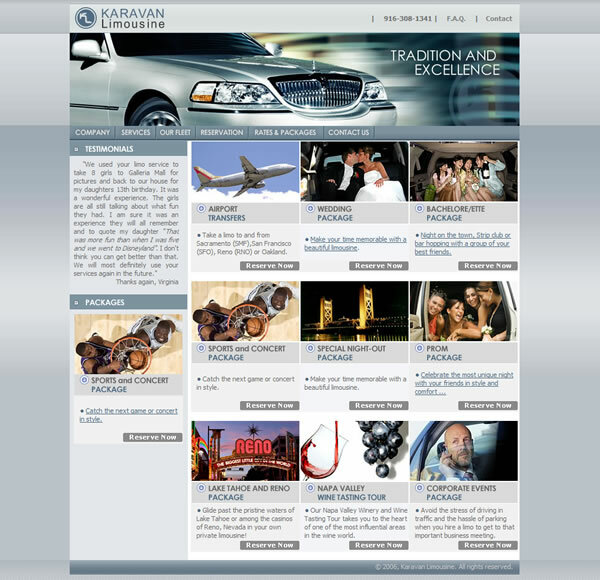 We created a dynamic, CSS-driven website that reflects Karavan's business image and high industry standards. Another important concept was the reinforcement of ideas through the use of bulleted lists, bold areas of text, photos, headings and other visual elements. Well-defined regions of content make it easy for the viewers to find information that interests them.